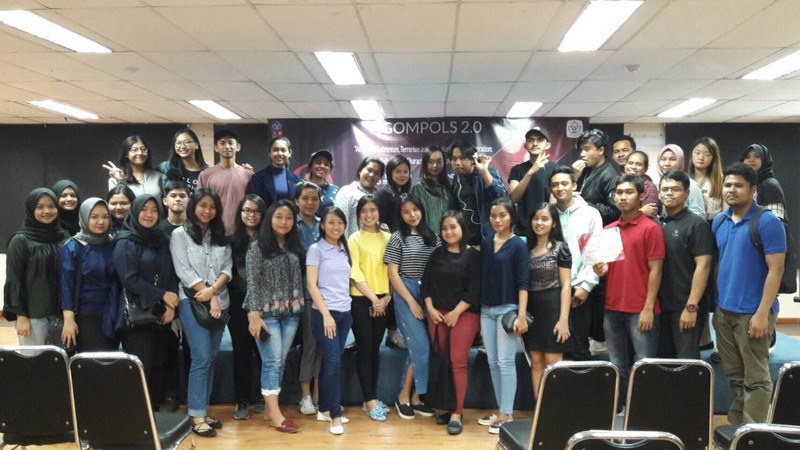 Ngompols 2.0 “Addressing Extremism, Terrorism, and Radicalism in Youth Generation: Refining our Characters and Perspectives”. The event started by the moderator who guided the event and then continued with the presentation of the two speakers discussing about the acts of terrorism as well as the radicalism that is rife happening at this time especially in Indonesia. This event is aimed to open the minds and insights of the students about the importance of awareness of the many cases such as acts of terror that aims to divide the nation of Indonesia so that many cause prolonged conflict. Students are also free to voice and express their opinions during the event. The event was not only attended by students from International Relations study program but also from other studies such as communication and also a few community and club at President University. The students showed a lot of enthusiasm during the event, most of the participant actively both asking questions and voicing opinions and both the moderator and the speaker was given tokens of appreciation. Then the event was ended by a photo session with the participants. This entry was posted in Events, Press Release, Uncategorized. Bookmark the permalink.